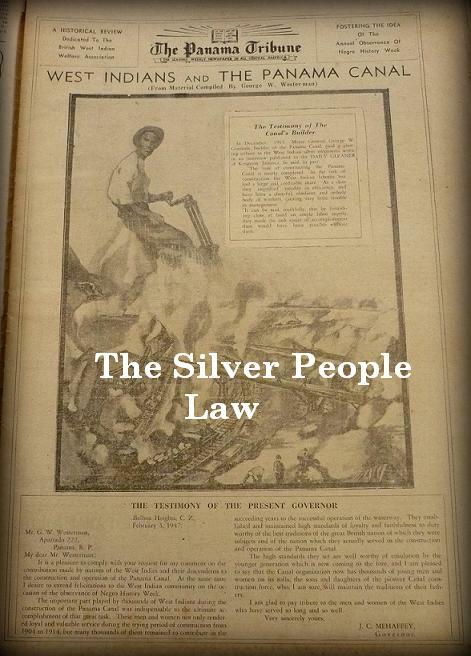 This is thee Image on the front page of our synopsis of the Silver People Law. In our attempts at restoring our once vibrant and prosperous Westindian Panamanian heritage here in Panama, we have embarked upon presenting a Bill in our country’s National Assembly. History has demanded such protection and safeguarding to place us where we rightfully and legally belong after centuries of abuses which included the denying of our humanity and culture.